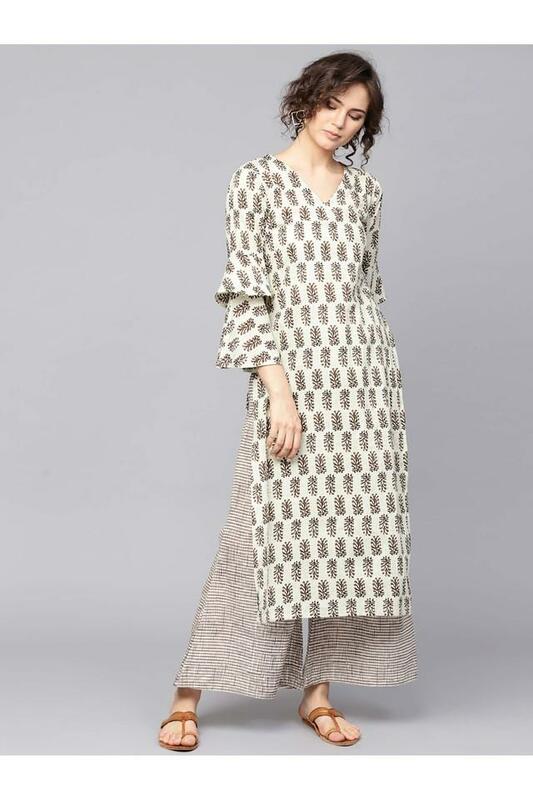 Set a new fashion trend by wearing this kurta and palazzo set presented by the famous brand Gerua. It is made of a fine quality cotton that promises to keep you relaxed all day long. 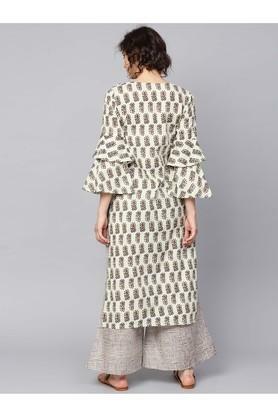 Besides, it flaunts a print pattern that renders it fashionable. It also has a V neck that adds to the overall design. Be the style icon among your friends by wearing this kurta and palazzo set on any casual day out. It will look good with a pair of earrings in a contrasting shade and heeled sandals.